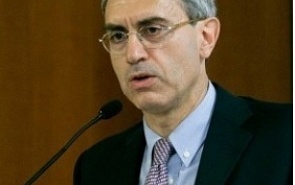 Ettore Greco is Director of the IAI and also heads the transatlantic program of the institute. He worked as visiting fellow at the Brookings Institution from January 2006 to July 2007. He taught at the universities of Parma and Bologna. From 2000 to 2006 he worked as correspondent for the Economist Intelligence Unit. From 1993 to 2000 he directed the IAI's program on Central and Eastern Europe. He was also Deputy Director of the IAI from 1997 to 2008. From 2000 to 2006 he was Editor of The International Spectator. He is the author of a number of publications on the EU's institutions and foreign policy, transatlantic relations and the Balkans. He has been a free-lance journalist since 1988. In the referendum campaign the opposition parties, which have all called for a no vote, have done their best to exploit this widespread anti-establishment mood and, no doubt, a large part of those who will vote against the reform will do that to express their discontent about the Renzi government’s policies.